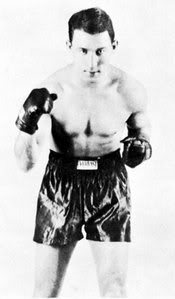 Krieger won the National Boxing Association Middleweight Title on November 1, 1938 over Al Hostak by 15 round majority decision. Hostak broke both hands in the bout which left him ineffective offensively. However, Krieger fought inside Hostak, and did very effective body work against his opponent. In his rematch with Hostak on June 27, 1939, Krieger struggled to make weight, and by accounts of papers--such as the Seattle Post-Intelligencer--he was a mere shadow of the fighter who had won the title seven months earlier. Hostak easily disposed of him in four rounds to regain the NBA Title. After his loss to Hostak, Krieger moved up to Light Heavyweight, and would fight his last fight as a Heavyweight, against Lee Savold.